Scandinavians’ common sense approach to wildlife restoration led them to increase genetic diversity of endangered fox populations by adding animals which are not precisely ‘native’ – thereby saving the foxes. Likewise, when Texas reestablished Desert Bighorn Sheep, transplants were brought from far-away, isolated populations, none of which were ‘native’. This was a sensible idea – which worked great. 40-years after the sheep transplants, Texas’ wildlife ‘management’ thinking has became obsessed with so-called ‘invasive species’. So in Texas, Big Wildlife practices ‘management’ schizophrenia: Eradicating elk, burros and other native species including predators under narrow definitions of ‘native’ and ‘invasive’ which are neither defined nor objectively applied, in order to increase Desert Bighorn Sheep which by the same definitions are both ‘non-native’ and ‘invasive’. Most of the bad things we routinely do to wildlife wouldn’t happen if we approached these issues with holistic pragmatism, as did the Swedes with their foxes. The immigration of just three new foxes dramatically reduced inbreeding in an isolated population, providing some support for a disputed conservation strategy. 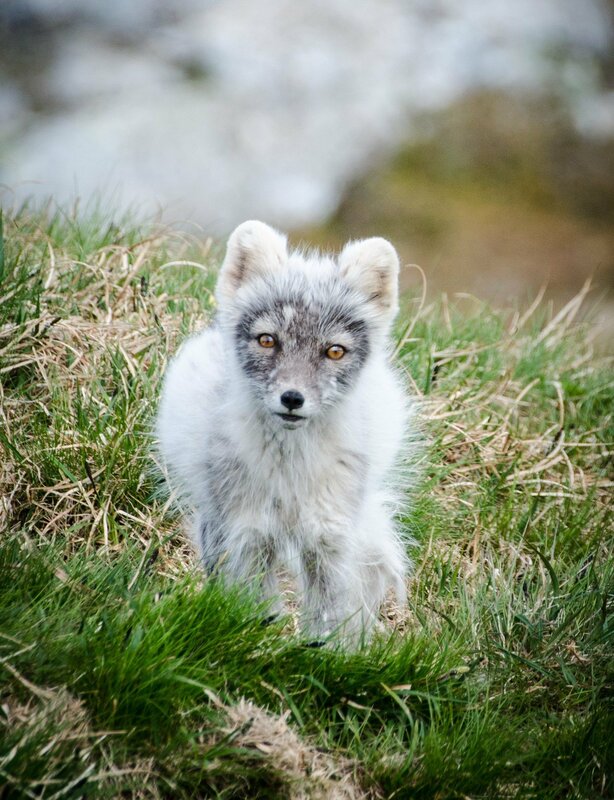 Arctic foxes are endangered in Sweden, Norway and Finland, scattered in isolated populations that can fall victim to severe inbreeding, further threatening their survival. That’s what happened to a group descended from six white foxes that settled in the early 2000s on Helagsfjället, the highest mountain in southern Sweden. But in 2010, a local ranger noticed something different: slate-colored or “blue” Arctic foxes, which had to be newcomers. The immigrants presented a rare opportunity for scientists to study what happens when new genetic material flows into a small, isolated population threatened with extinction. 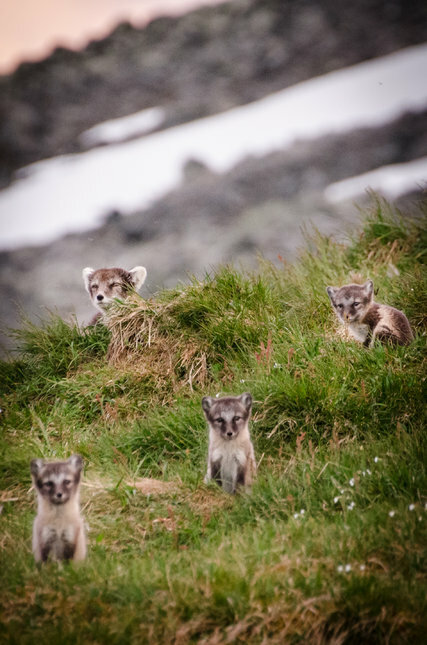 In a study published Wednesday in Proceedings of the Royal Society B, scientists from Sweden and Norway reported that just three new males dramatically reduced inbreeding and produced a generation of more robust offspring in the Helagsfjället arctic fox population. The findings lend support to a disputed conservation strategy called genetic rescue, which involves introducing genetic diversity to boost the survival chances of small, inbred populations, said Jennifer Neuwald, an assistant professor of biology at Colorado State University who was not involved in the new study. “This study showed that having those new individuals bring in new DNA actually had an effect,” she said. Arctic foxes — which remain abundant in parts of North America and Russia — come in two color morphs. White morphs are snowy in winter and brown-grey in summer, while blue morphs stay a ravishing indigo, brown and charcoal mix year-round. The blue foxes that arrived in Helagsfjället had come from a captive breeding and restoration program funded by the Norwegian government. In 2009, the program released two blue brothers and another, unrelated white male in southern Norway. The three migrated about 150 miles to the Swedish subpopulation. Malin Hasselgren, a Ph.D. student in zoology at Stockholm University, led efforts to construct a giant family tree with DNA sampled from 543 foxes, or 105 litters, born in Helagsfjället between 2000 and 2015. In the five years following the arrival of the new males, the population of the Helagsfjället clan nearly doubled. Over the same period, inbreeding also decreased by 43 percent, which is “really rapid,” Ms. Hasselgren said. Perhaps more important, the first generation of pups born to immigrant fathers was more evolutionarily fit than inbred pups: The former were almost twice as likely to survive their first year of life, and had higher breeding success. These higher survival and breeding rates help the authors “make the case that a reduction in inbreeding is helping this population grow,” said Sarah Fitzpatrick, an assistant professor of integrative biology at Michigan State University not involved in the research. A larger concern is that the benefits of genetic rescue will be short-lived. In 1997, a single male wolf immigrated from Canada to Isle Royale in Michigan, causing inbreeding levels to plummet by 89 percent in four years. But then his DNA overtook the entire Isle Royale wolf population, leading to a climb in inbreeding and genetic defects that proved to be devastating. As of this winter, Isle Royale may be down to its last wolf. Adding new individuals to a threatened population can also introduce disease or swamp local adaptations. Decades ago, conservationists moved some ibexes, a type of wild goat, from the Middle East to mate with a dwindling population in what was then Czechoslovakia. But the resulting hybrids ultimately could not survive the cold, causing the entire population to go extinct. Still, genetic rescue has had successful outcomes too, for panthers in Florida, bighorn sheep in Montana, vipers in Sweden and others. Many conservationists believe it’s a tool with increasing potential, as wildlife populations become more and more fragmented by human activities. Dr. Neuwald emphasized that the key is “going in with your eyes wide open,” by having considered the genetic, ecological and social compatibility between transplants and existing populations. If that’s done, and if genetic rescue gives a species its best chance of survival, “it’s worth giving it a try,” she said.